Toyoda Kazutaka and Matsuoka Mitsuru had already played together in a few groups before they formed a new project in early spring of 1994. The previous band, Rose Noir, had officially disbanded only in the beginning of the year. Besides the two members, SOPHIA had a third founder, Miyako Keiichi. In the summer of 1995, the line-up was completed with Kuroyanagi Yoshio and Akamatsu Yoshitomo, and so the band was ready to begin their career. They performed for the first time on July 26th at Kawasaki Club CITTA in Tokyo and at the end of the year they played their first one man live concert at Shinjuku LOFT. Their first release, SOPHIA, came out at the beginning of 1995 and understandably this was the moment that the band considered as their actual debut. The recording came out via the label TOY’S FACTORY, who already had noted Rose Noir on their omnibus album called EMERGENCY EXPRESS’94. One of the biggest early year hits was the song machi, which was also associated with the Playstation role playing game Breath of Fire II. SOPHIA received more and more success in quite a small time frame and in August 1999, after the release of three full length albums, the band performed in front of 30,000 people at Showa Kinen Park, in Tokyo’s Tachikawa. In December of the same year the single OAR was released, after being recorded in London, UK, together with Tim Young. Also the PV for the song, as well as the jacket photos, were shot in the United Kingdom. The band was also noticed abroad – their first concert outside Japan was in Hong Kong in August 2000. In December 2001 a set of two best of albums was released. The Short Hand included songs released as singles, while The Long Hand was a collection of songs chosen by the band members. SOPHIA changed their label to Toshiba-EMI in the year 2004. The first release on the new label was an interesting set of three limited singles (tabi no tochu, please, please & hana wa karete mata saku, each with a press of 30,000), and each of the singles, finished with a beach themed jackets, were released with only one week between the,. All of the singles contained not only one song, but also lots of extras in PC compatible CD extra format. The ones who collected the whole set were able to attend a special concert held in August. The performance was a huge success and the number of fans was close to the 30,000 maximum. In the July of 2005, a single release was coupled with a cover of Edith Piaf’s French song HYMNE A L’AMOUR. In November, the group celebrated their career with their 10th ANNIVERSARY BEST album, with a tracklist chosen by fan voting. At the end of the year there was also a positively surprising DVD release, as philosophy VII included unseen material way back from the time when the band was on the label TOY’S FACTORY. As an interesting fact it should be mentioned that SOPHIA has done collaborations with the comic group Garage Sale, under the sneaky name hybrid of Gaphia. The band has continued releasing new material after their anniversary year. It should be taken into consideration however, that the members also contribute to their own music related projects. Miyako has worked as a producer for the young pop star Kimeru, while Kuroyanagi joined Mark Muffin in 2005. 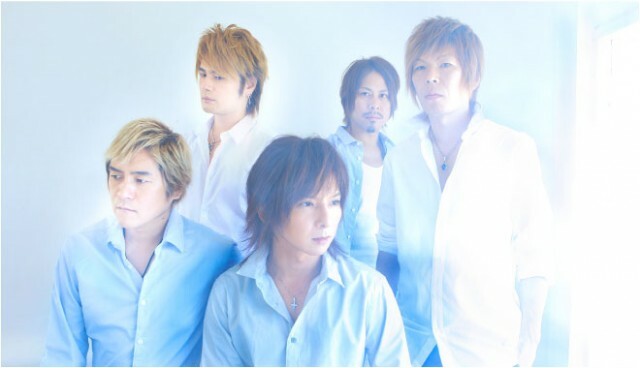 The band includes also Masayuki Moriyama (ex.Wyse) and Ronzi (BRAHMAN). Matsuoka has acted in a few TV dramas and has also been seen on the stage of a theater – his most challenging project on this course of arts is probably the Japanese version of the Titanic musical in 2007, directed by Glen Walford. In the musical Matsuoka performed the role of Thomas Andrews. In his private life the vocalist is married to Kurosawa Yuu, who is involved in politics. Yuu is directly related to the famous film director Kurosawa Akira.